A device that can sterilize smartphones to protect hospital patients has beaten out 11,000 other applicants to win a $500,000 prize at 43North, the world’s biggest business pitch competition. The device, called “CleanSlate,” uses ultraviolet light to kill germs. Although it is not the first smartphone-sterilizing device to be created, it is currently the only one that targets hospital-acquired “superbugs,” such as MRSA or C. difficile. As with many frequently touched surfaces, smartphones are riddled with bacteria and are banned from many intensive care, emergency, operating, and neonatal units for that reason. The problem is that not everyone obeys the ban for reasons ranging from wanting to take pictures of their newborn to not wanting their phone to be damaged by the hydrogen peroxide wipes that some hospitals employ. There is also the problem of peroxide wipes requiring the smartphone to sit untouched for up to three minutes for the sterilization to be properly effective. CleanSlate is meant to be a faster, more intuitive means of sterilizing that can be done quickly and without damaging the phone. The CleanSlate device itself is about the size of a microwave and resembles a fax machine. A smartphone is placed inside and is bathed in ultraviolet light for thirty seconds, time the owner can use to wash their own hands to prevent recontaminating the phone. 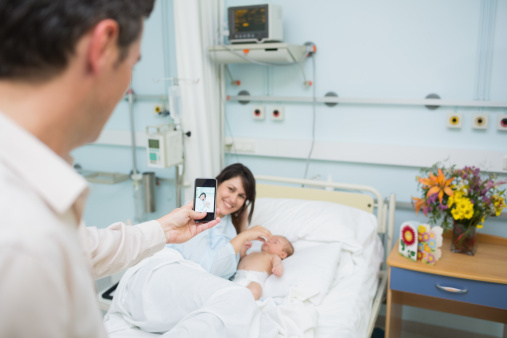 As CleanSlate CEO Taylor Mann notes, the ideal usage is to place a device at the entrance to sensitive wards like intensive care units so that staff or visitors can sterilize their phones as part of regular entrance procedures. They can also be used at the end of the day so that staff don’t bring hospital germs home with them. CleanSlate has been tested at three Ontario hospitals with promising results and has already been receiving pre-orders from Ontario and New York hospitals for the next version of the device. The next version is planned on being slightly larger to accommodate tablets and is expected to ship in early 2016. The prize money from 43North will be used to expand CleanSlate’s entry into U.S. markets, including setting up an office in Buffalo. 43North is a business pitch competition funded by New York State and offers awards ranging from prize money to mentorship and programs that reduce or exclude winners from certain state taxes. Chung, E., “CleanSlate’s Smartphone Sanitizer Wins $500,000 Prize – Technology & Science – CBC News,” CBC News web site, November 2, 2015; http://www.cbc.ca/news/technology/cleanslate-smartphone-sanitizer-1.3300459. “CleanSlate UV Sanitizer,” CleanSlate web site; http://cleanslateuv.com/, last accessed November 3, 2015.